During World War II, Japan forced thousands of young women from around Asia into sexual slavery. 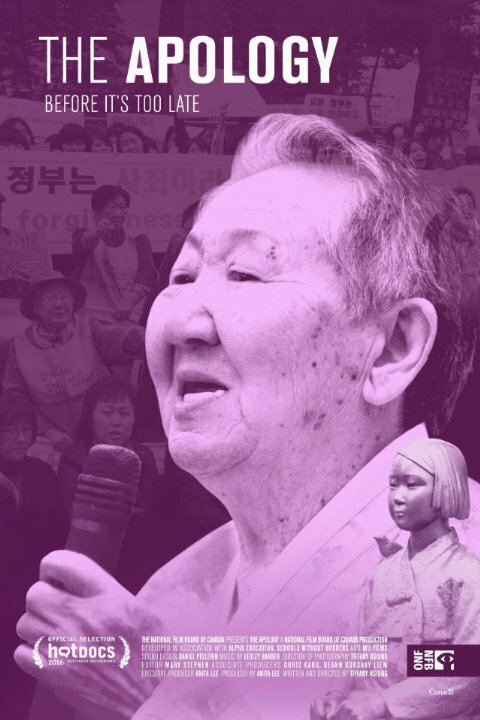 Referred to as “comfort women,” and now more affectionately called the grandmothers, many of the aging victims have spent years protesting and demanding the government to issue a formal apology for their abuse, but receiving pushback from right-wing groups. Director Tiffany Hsiung followed the stories of these women for about seven years, and focuses on three of them in The Apology, a runner-up for the Audience Award at Hot Docs. The film introduces us to Grandma Cao from China and Grandma Adela from the Philippines, as well as the feisty Grandma Gil, who remains an outspoken advocate and has spent over twenty years demonstrating in front of the Japanese embassy in Seoul, Korea every single week. These elderly subjects are all compelling to watch, and the film reaches heartbreaking revelations about what they had to endure, with some of them having never even told their families about being sexually abused because they are afraid of the shame it will bring. The strength and resilience they carry with them in their search for an apology is inspiring, and The Apology is a quietly powerful portrait of how they continue to seek closure from the government after years of shocking mistreatment. The Apology is now playing in limited release at the Hot Docs Ted Rogers Cinema in Toronto. Tickets and showtimes can be found right here.